We organize trips and excursions for individuals and groups in the most beautiful Italian cities. Trust us! We have multilingual guides and touring coaches and we offer a rich weekly schedule of day trips with guaranteed departure for individual clients or tailor-made excursions for your groups. 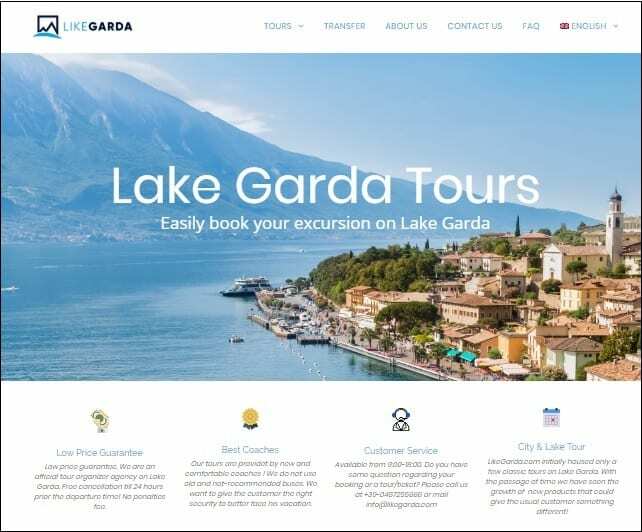 Tour of Lake Garda - city of Verona - Opera in the Arena - Venice Tour - Milan - Dolomites - Valpolicella Wine Tour and much more. Are you a tour operator who wants to book excursions for your clients? Request your password and use our free system! Excursions by Bus, Boat and Tickets for the Amusement Parks are very easy to book.